Keep all of your sporting goods organised ready for training and game days with this Puma Pro Training II Large Holdall in Black. 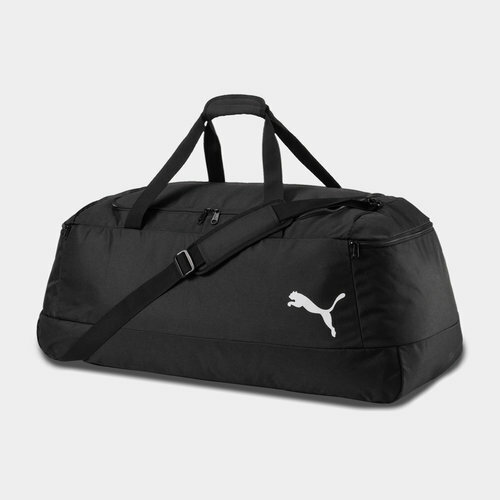 This holdall bag from Puma offers plenty of room to organise your gear with a spacious two way zipped main compartment and a zipped side pocket for your valuables. It has been designed with adjustable shoulder straps that are padded and comes with connectable handles for comfortable carrying.